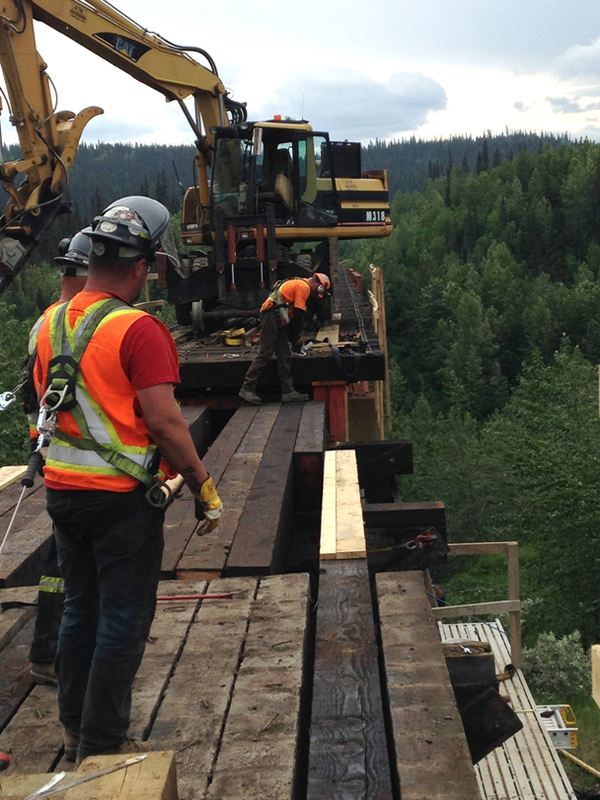 Ruskin Construction has developed a workforce experienced in timber trestle repair and construction. 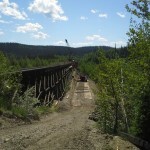 The rail maintenance service Ruskin provides requires an inventory investment in commonly used materials and specialized equipment. With the equipment, material and experienced work force in-place, Ruskin can effectively provide the service required by rail operators. Whether our clients have a scheduled maintenance program of structural refitting, or require an emergency repair, Ruskin is positioned to react effectively with the services required for the project. 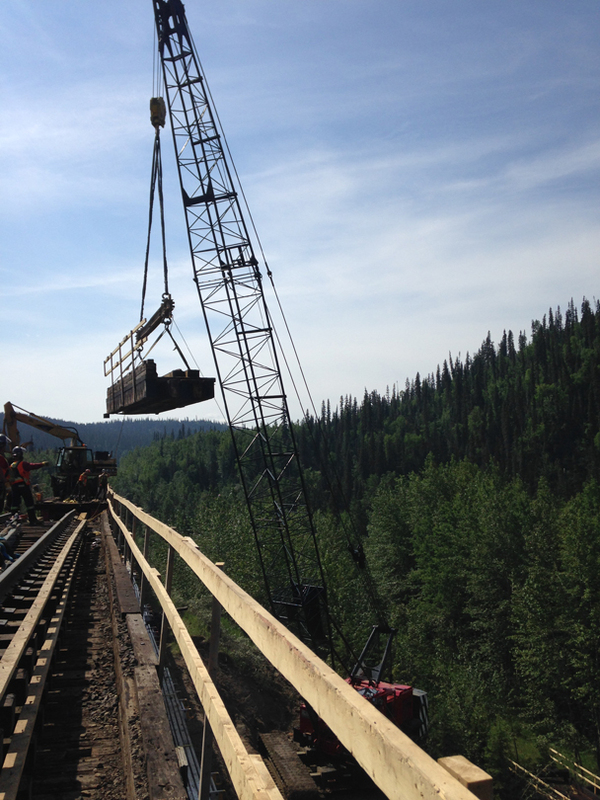 Working on the rail requires a very clear understanding of the safety and operational needs of the rail system. 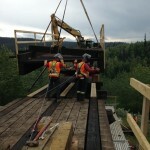 Ruskin has the proven experience of performing the tasks within the operational constraints of the railway. 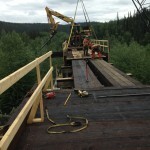 On many projects, limited track time is available making the planning for each task more critical than conventional construction. Communication with the on-site flagmen, external and internal working crews ensure that the safe delivery of each project can be achieved. 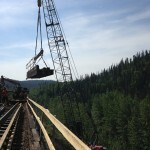 Ruskin has been called into service on many emergency repairs for the short line and primary rail operators of Western Canada, and remains committed to the needs of the rail transportation infrastructure. 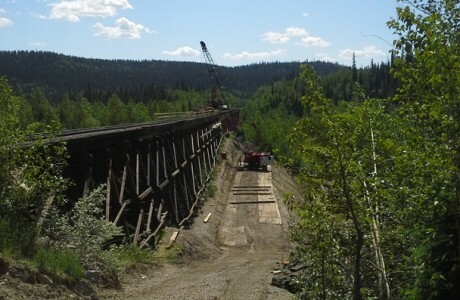 Ruskin Construction was contracted by CN Rail to maintain 10 rail bridges throughout Alberta. 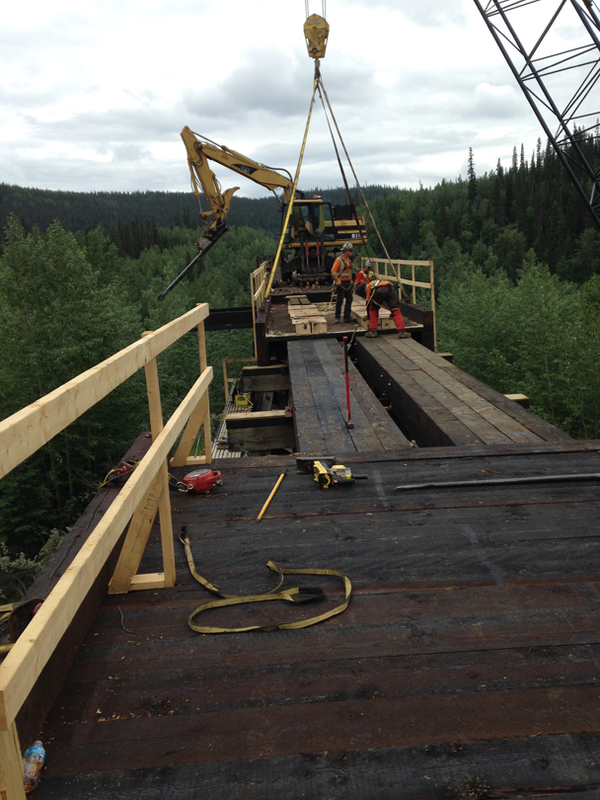 Utilizing our specialized rail equipment, and working around the train schedules, Ruskin crews replaced 375 feet of ballast-deck bridge and converted 90 feet of open-deck to ballast-deck. 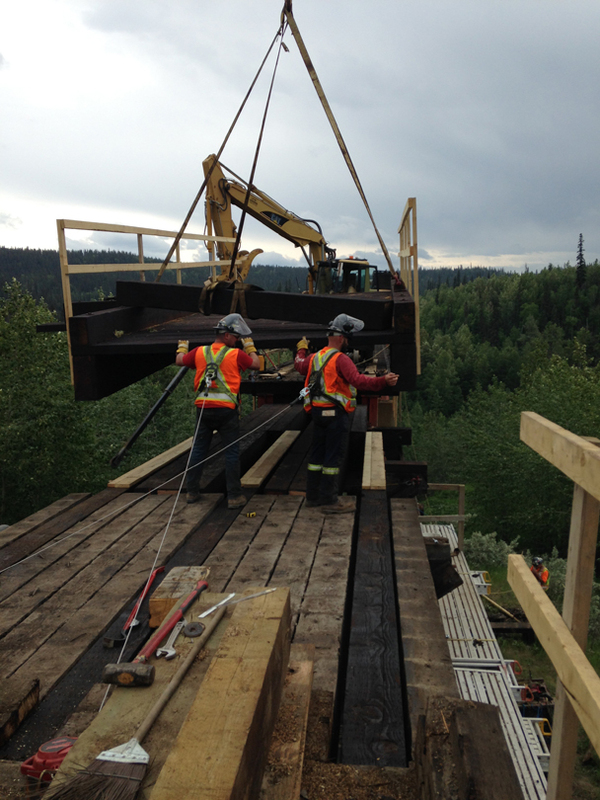 This required 160 stringers to be replaced and 6 new frame bents to be constructed and installed. 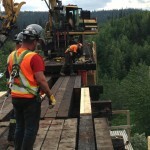 In addition, 694 deck ties were replaced; over 2000 tie plates were up-graded; 100 helper-stringers were installed; 35 caps and intermediate caps were replaced; 35 bracing and struts were replaced; 6 backwalls were replaced; 8 retaining walls were installed; over 50 piles were shimmed; and over 60 piles were posted or bolted. 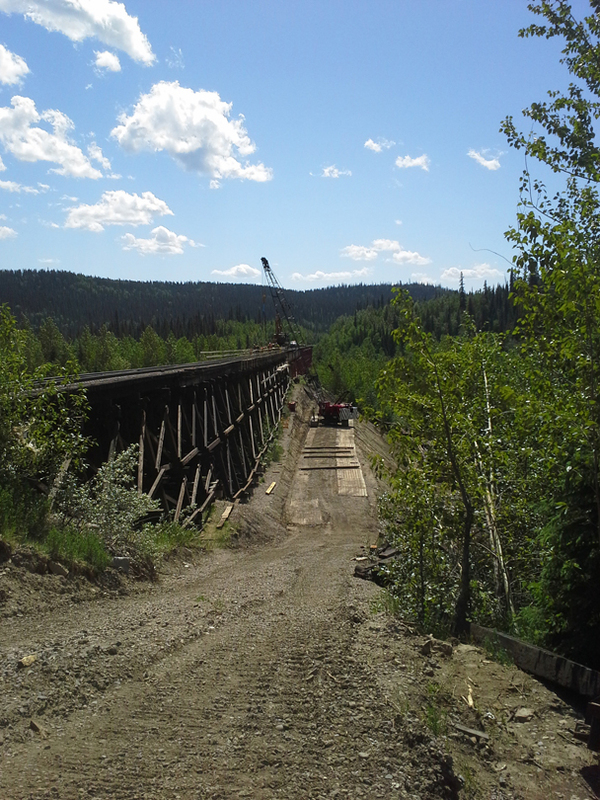 Project challenges included limited work blocks due to train traffic, temperature and weather extremes, and limited road access to some of the bridge sites.